At Heroes Never Die, two teams advanced in the Tag Team Championship tournament to crown MKE Wrestling’s first ever Tag Team Champions. Jason Dukes announced his new tag team partner in Dave Soul as they knocked off Eddie Machete & Rico De La Vega. In other action, the Foley Brothers defeated The Bomb Shelter in a long hard fought match to advance. The Foley Brothers continue to make a name for themselves here in MKE Wrestling and will be a force to be reckoned with. The Players Club still await to find out who their opponents will be, we could find out as soon as September 21st at Back To The Old School. 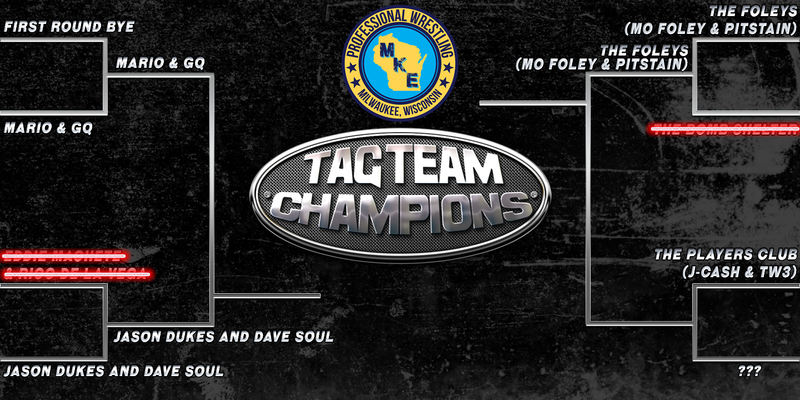 The Marman and GQ now know they will be facing the team of Jason Dukes and Dave Soul in the quarter finals. 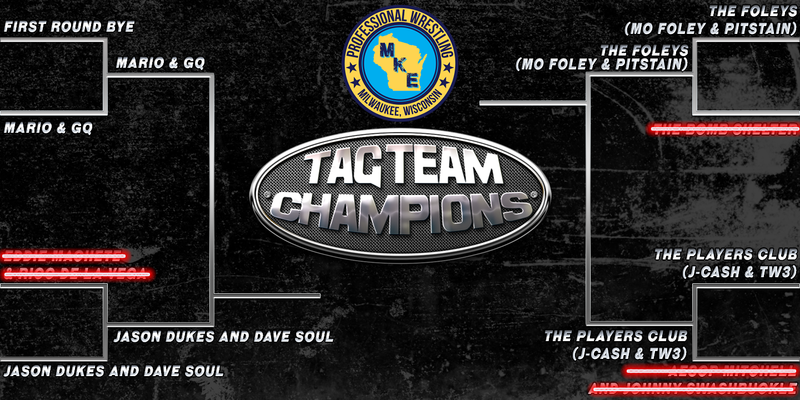 The team that wins that match will advance to the finals to crown the very first MKE Wrestling Tag Team Champions. Tonight! MKE Wrestling Presents Rules Are Meant To Be Broken! Tonight! This show is looking to be our best one to date, you won’t want to miss this!